The McArthur Street in Suva is now open to traffic. 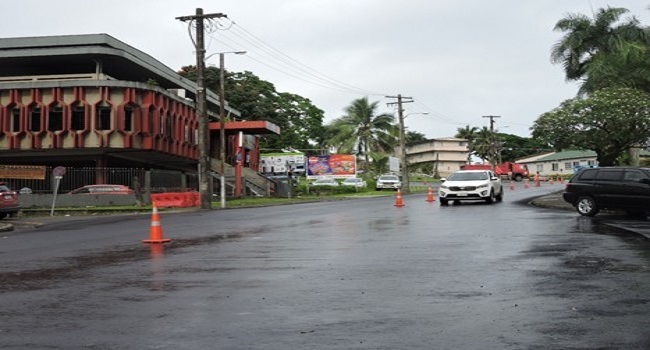 Fiji Roads Authority chief executive, Jonathan Moore, says the road is now open, however motorists are advised to drive with care as there is no line marking yet. Moore says traffic signals have been activated and cones have also been placed to guide the traffic. He adds that depending on the weather, line marking will be completed soon. Moore says the work included repairing of the damaged concrete pavement, kerb, channel, footpaths and surfacing. He says this will help prolong the life of the roads by preventing them from premature deterioration and provide a smooth journey.